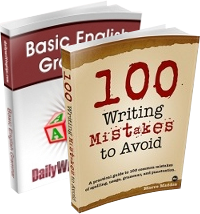 Use of hyphens and commas in phrases that include names of colors is the cause of some confusion among writers. Here’s a discussion of when to insert or omit these punctuation marks when referring to colors. The previous rule applies not only to combinations of colors but to degrees (“greenish-blue dress,” “a dress that is greenish blue”) or comparisons (“snow-white fabric,” “fabric that is snow white”) of color. Remember, too, that light has two distinct meanings: A light green package is a green package that doesn’t weigh much; a light-green package is a package that is a light shade of green. When the adjective or phrasal adjective follows the noun or noun phrase, and no hyphenation occurs, the distinction is still clear: The first description is of a green package that is light, and the second is of a package that is light green. When the name of a color is one of two or more adjectives preceding a noun, whether and which of the adjectives are separated by commas depends on whether they are coordinate adjectives or not — whether they each modify the noun, rather than one modifying a phrase consisting of an adjective and a noun. 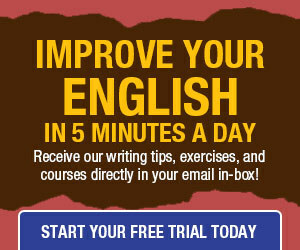 For example, in “a tall, green pole,” a comma separates the two adjectives because they are coordinate, or equivalent. To test this fact, either replace the comma with and (“a tall and green pole”) or reverse the order of the adjectives (“a green, tall pole”). If these changes make sense (even though the original syntax is better), the adjectives are coordinate, meaning that they both refer to the pole, and the comma is required. In “a weathered green pole,” by contrast, the adjectives are noncoordinate: Weathered and green do not each modify pole; weathered modifies “green pole,” so no comma is necessary. Various references to combinations of two or more colors are also distinguished by the use or omission of hyphens. For example, “She has only black and white shoes” means that all of the person’s shoes are either black or white, but “She has only black-and-white shoes” means that the person’s shoe collection consists only of shoes in which each pair is black and white. “Yellow, pink, and red flowers” refers to flowers colored yellow, pink, or red, whereas “yellow-pink-and-red flowers” denotes tricolored flowers. For the life of me I have never managed to get my noodle around why some non-coordinate adjectives: the above example included. The assumption that ‘weathered’ modifies ‘green pole’ and not just’ pole’ utterly baffles me; it seems entirely arbitrary. I don’t understand…why would a light-green jacket be hyphenated, but a dark blue jacket would not? Should a lightweight jacket be a light, green jacket? I am also stuck on the “light-green” and “dark blue” question? I’m thinking black might be the way to go. Overall though, I thank you for the review and clarification. (I do recall a friend of ours telling her female buddies about the ‘pale-black dress’ that she’d just bought. When my wife finally saw it she had to agree that ‘pale-black’ described it much better than grey (OK gray). Didn’t you have a post once where you talked about the order in which types of adjectives have prominence and, as such, whether a comma is required? For instance, in the “tall, green pole” example, I would not have necessarily added the comma becuase I would have assumed “green” goes automatically with “pole” as some closer-order adjective. I can’t remember what you called this but I remember it being out there! This post, by a former contributor to the site, discusses the royal order of adjectives. Ah, Mark, you answered Amy’s but not Elysia’ s and my query about light-green and dark blue. Help. Ok, which of the two examples would be correct if I want to describe the blue paint as both smokey and grayish, not that the building is smokey? My opinion is that the answer to some confusion in the discussion above would be that some combinations of adjectives can correctly be used with or without a comma because it actually doesn’t matter whether they’re considered coordinate or cumulative. “Weathered green pole” can be written with or without the comma because it doesn’t matter whether you’re talking about a green pole that’s weathered or a pole that’s both green and weathered. If you specifically want to say the green colour of the pole is weathered, rather than the pole itself being weathered, you might write “weathered-green pole”, but to me that would be weird, because in that combination of words it would be more natural to take green as an adjective for the pole rather than a substance (eg paint) that could by itself be weathered. As for “dark blue suit” versus “dark-blue suit”, I’d say unhyphenated is totally legitimate because if a suit is both dark and blue, we have to be talking about a dark blue colour! There’s no separate thing of a dark suit that’s blue that we could confuse it with. In other words, “dark blue suit” is a phrase legitimately considered to be using cumulative adjectives. Since a hyphen can be used to overcome ambiguity, it therefore might be more legitimate to write “light-green jacket” while also writing “dark blue suit”, because you could argue “light” could mean light in weight whereas dark most likely wouldn’t mean anything potentially confusing. On the other hand, an author would probably be silly to write “light green jacket” with or without the hyphen if intending to mean a light-weight jacket, because anyone using “light” and “green” in sequence is usually referring to a colour! You’d say “light-weight green jacket” or something else equally clear if talking about the weight, wouldn’t you? So the use of hyphens, and the reason they may appear not to be used consistently sometimes, is partly about the potential for ambiguity.